There are so many weight loss products out there. If you cruise by any health shop, there are shelves full of shakes, mixes, and the odd potion promising the loss of pounds without much effort on the consumers’ part. More often than not, these are bogus and yield far short of the results they promise. What’s interesting is that weight loss help can come from easier sources than one might expect. These days, reports of lemon water benefits and using lemon water for weight loss are becoming prominent. The small yellow citrus fruit is being touted as a great aid for dropping excess pounds, which people are constantly looking for. It’s worth stating that lemon water will not act as a weight loss agent in and of itself. Rather, when used as a substitute for higher calorie beverages like energy drinks, coffee, and juice, it can assist with the weight loss process. As mentioned before, the lemon water detox and lemon water cleanse is obvious. Lemon water benefits the body by helping it get “clean.” But lemon water for weight loss is a bit more complex. If you’ve already got a solid workout routine, you know you have to rehydrate. Adding lemon to the water you used to rehydrate allows the body to get more lost nutrients while absorbing an agent that can stimulate the body’s metabolism. This pushes the body to burn more calories, added to the fact that vitamin C is a natural fat burner—apparently an extra 30% of body fat is burned from adding vitamin C to a workout routine. The other thing that’s interesting to note is that lemon water can also keep you from feeling large, too. Doctors have noted that lemon water keeps the body from bloating on the inside. That’s a funny but true plus that adds to the lemon water weight loss benefits. 2. Take one of those lemon halves and squeeze it into 2 full cups of water. That’s it. 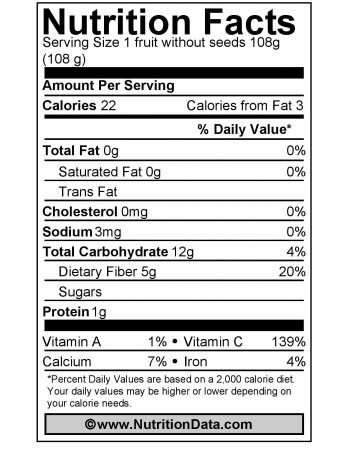 You get 5.5 calories just from that and up to 25% of your daily vitamin C requirements. Don’t heed the temptation of adding any kind of sweetener, natural or otherwise, to keep the calories down. If you’re a bit more serious, feel free to add whole chunks of lemon plus some of the peeling to muddle the whole lemon-water cocktail together. Some professionals have noted the added benefits of hot lemon water in that it adds to the body’s hydration and keeping one’s hunger down. Drinking hot lemon water before a meal can curb the desire to eat more and reduce calorie intake. Many people that have already found the benefits of lemon water in the morning add it to their breakfast menu. Often it’s a matter of what works best for one’s own body or routines, so don’t be afraid to experiment a bit. Lemons are usually just seen as nice additives to a drink, essential for making a pitcher of lemonade or for adding zest to certain food. But like a lot of fruit, there’s a lot of great material contained within lemons. Powerful antioxidants alpha, beta-carotenes, beta-cryptoxanthin, zea-xanthin and lutein. All of these act as powerful agents in absorbing free radicals while also being bioactive in instigating more activity in the body while strengthening the body’s immune system. Overall, lemon water for weight loss is part of a comprehensive lifestyle that puts one’s health in key importance over the long term. It’s not a magic concoction that will instantly make one lose weight and should not be treated as such. It’s part of a bigger picture of long-term health and fitness. Lemon water is great way to ward off obesity. The contents of lemon water keep the body’s metabolism going and assist in keeping digestion going strong. The negative-charged ions in lemon water can work to give you a natural high. The tiny molecules are said to increase your energy levels during the digestion process. 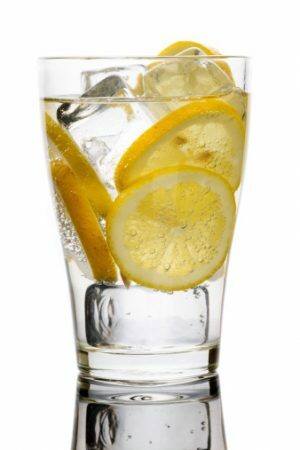 Lemon water keeps your body wanting to stay hydrated, leaning more to water over high-calorie or energy drink substitutes. Adapting lemon water to a healthy lifestyle has many fringe benefits. Aside from the lemon water for weight loss, lemon water’s benefits are long term in the body. Adding it to the diet and workout routine allows one to excise a lot of fad drinks and food from one’s health diet. It’s interesting to see how a simple mix of lemon and water can help provide the bare essentials of nutrients to the body with hydration on top. This can also save one’s pocketbook from shelling out for high-end health or weight loss products. Again, it’s a lifestyle matter. 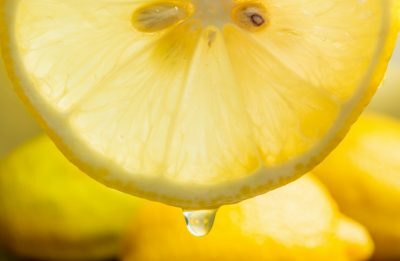 Once lemon water is introduced to a healthy, fitness-oriented way of life, it can have long-term benefits that stretch further down the line. It’s just a matter of maintaining regular usage of lemon water on top of workouts. The only thing to add to lemon water’s benefits is its acidity. It might not be for you if you get acid reflux or heartburn sensations regularly. Sadly, lemon water does contain a fair amount of citric acid and can irritate those that are sensitive to it. Those that have this condition might be able to still use lemon water by reducing the amount of lemon juice used. 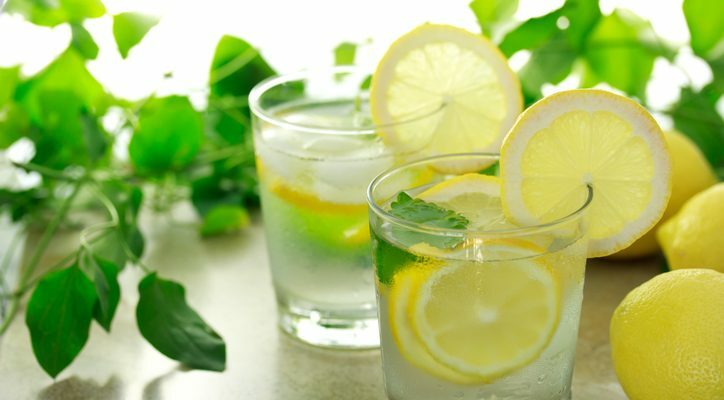 In any case, lemon water for weight loss and long-term health is a viable option to improve one’s physical condition. It’s simple yet effective. Busch, S., “Lemon Juice and Hot Water for Weight Loss”. Live Strong website. Kramer, J., “Can Lemon Water Really Help You Lose Weight…Or Have the People who Swear by it been Feeding You BS?”. Women’s Health Magazine website.